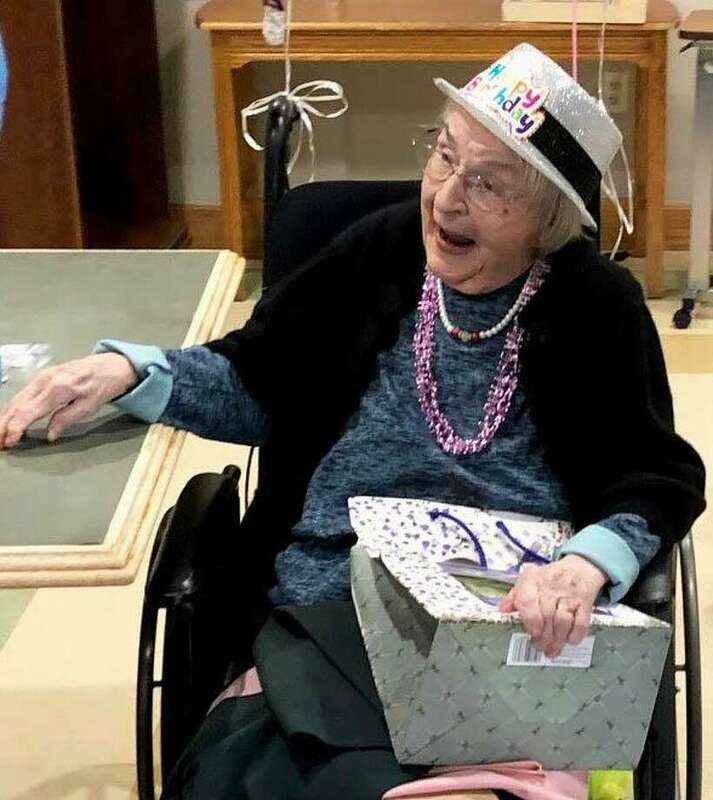 Louise Secor, a resident of Candlewood Valley Health & Rehabilitation Center in New Milford, recently celebrated her 106th birthday with family and friends at the center. Mayor Pete Bass presented her with a proclamation. CNA Emmy Lou Larmore made a special visit for the celebration, after working a double shift.